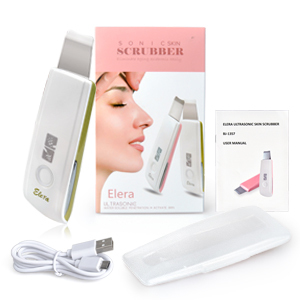 Based on ultrasonic principle ELERA facial skin scrubber can clean the dirt from your skin and accelerate the metabolism of skin cells. When the skin scrubber connects with your skin, it will generate intensive pressure and vibration instantaneously. 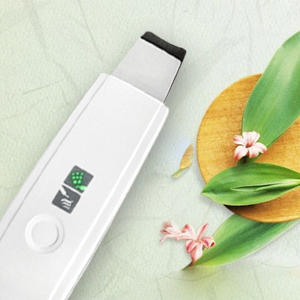 The high frequency vibration can penetrate your skin within 3-5 mm depth, effectively cleaning dead skin cells and dirt. After use younger and fresher looking skin will emerge, that beautiful skin that was previously covered by dead skin cells. 3.It can help you to massage your skin and easily absorb nutrients. Design of one button makes it easy to use. 1.Please wash your face with warm water and keep your skin pores open before scrubbing function. 2.If possible moist the corneous layer with a steam towel or facial steamer. 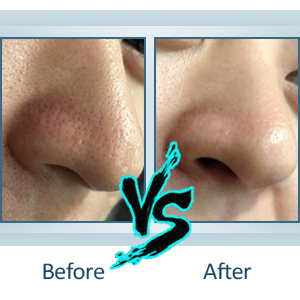 3.Please start once a week and gradually 2-3 times a week when using deep cleaning function. 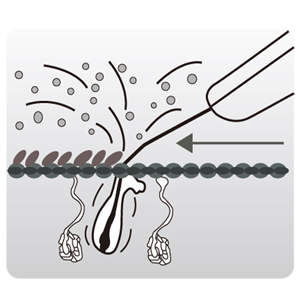 4.Iontophoresis’s function could be used every day and could be used when using masks. Step 1. Moisture your face with water or some facial cleaning solutions. Step 2. Press the power button once and the device will enter into the cleaning mode. Step 3. Please push it in arrow directions like the first picture shows. Step 4. When finished turns off the product and wash face or wipe with cold towels. Step 5. After cleaning your face you can put some toner. Step 1. Apply some nutrient water or some skin care products on your face. Step 2. Press the power button twice to start the iontophoresis’s function. Step 3. Please push it in arrow directions like the second picture shows. Please note that charge it about 3 hours when you first use it. Please do not put in water or store in humid space such as bathroom.